Beautifully variations in color tone make a magnificent carpet. This carpet gives a soft and cozy touch to your feet. This is a pure silk area rug and ideal for low traffic area. Never put this gorgeous carpet in a high traffic room. 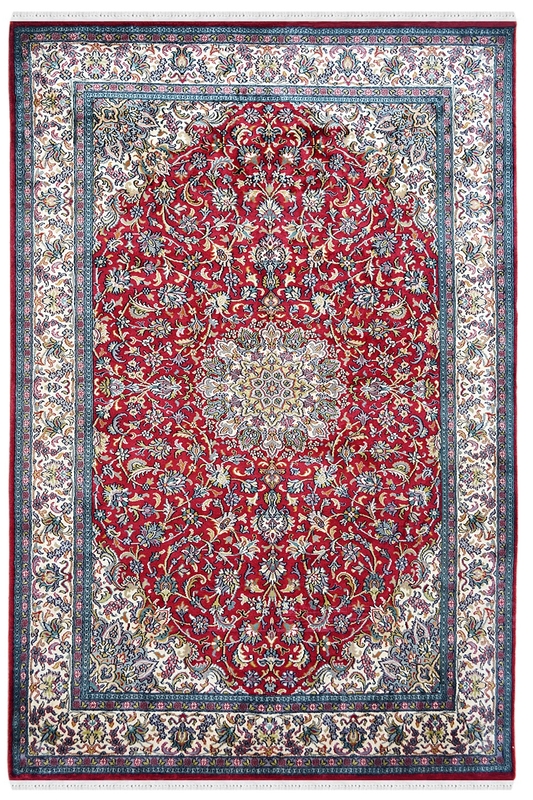 This fabulous Ivory and Red silk rug promise to unveil the grace and glow of Indian tradition in your living area. The attractive hand weaving with beautiful Persian design and wonderful color scheme is enough to decorate your house in a kind way. This is woven on a handloom using hand-knotted technique. This is woven in India by our talented weavers.